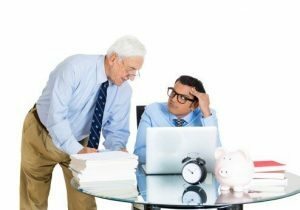 Age discrimination occurs when a worker over the age of forty is harassed, passed up for a promotion, or passed over for a job they are qualified to do, because of their age. Most Georgia employees are covered by both the federal Age Discrimination in Employment Act (ADEA) and the Georgia Age Discrimination laws. Not all employers, however, are required to follow these mandates. If you are an employee for either a state or federal agency, or a private company in the Atlanta metro area, our employment law attorneys will work to protect you from age discrimination. Contact our lawyers today for an initial consultation. Our employment attorneys will listen to the facts of your case, ask questions regarding the details of your employer and assist in filing a complaint with the appropriate agency. In many instances our attorneys can assist in finding a suitable resolution through mediation, but if this is not possible we are available to help make a formal complaint with the EEOC. If the EEOC dismisses the complaint, we are willing to exhaust all avenues, including filing a lawsuit in Federal Court if appropriate. Contact our lawyers today for an initial consultation. We assist clients in the greater Atlanta Metro area including Jonesboro, Macon, Savannah, Athens, Kennesaw, Marietta, Decatur, Dunwoody, Stone Mountain, Tucker, Alpharetta, Roswell, Sandy Springs, Duluth, Lawrenceville, Lilburn, Norcross, Gainesville, as well as the counties of Bibb, Chatham, Clarke, Cobb, DeKalb, Fulton, Gwinnett, and Richmond. It can be difficult to prove and even more difficult to know where to turn when discrimination occurs in the workplace. The employment attorneys at Obiorah Fields, LLC are available to answer questions and represent workers throughout the discrimination complaint process, whether it is in the initial stages of filing a complaint or filing a federal lawsuit in District Court. We have dedicated our practice to fighting for workers’ rights and ensure that all documentation is filed correctly and that all deadlines are met. If you have faced discrimination in the workplace, you only have a limited amount of time to file a complaint. Contact our office today for a case evaluation.